As we age, many of us look forward to retirement. It’s an opportunity to do all the things that we always wanted to do, to spend time with the grandchildren, and to take life a bit easy after a lifetime of hard work. However, sometimes the reality of retirement can be different – people often struggle with the realization that many of the things that kept them busy have now gone away, and don’t know how to go about filling the gap. Worse still, many feel that they have lost some of their independence, and become increasingly reliant on family and friends. One of the most important things you can do to have a happy and productive retirement is to remain independent for as long as you can. Of course, this can be a challenge – some days we just don’t seem to have the same get up and go that we did when we were in our 30s. However, there are many things you can do to stay active and independent as you get older, provided that you take the time to plan ahead. To begin with, the kids have moved away, leaving you with a house that sometimes seems too much to manage. On the other hand, the last thing you want to do is to move away from the home you have lived most of your adult life in and experienced some of your happiest memories. What should you do? Fortunately, there are steps you can take to stay in your home as long as possible. For instance, many of us find it difficult to head up and down stairs as we get older. If this is a problem, why not consider relocating your master bedroom to the ground floor of your house? You may have both a living room and a family room, and with just a couple of you in the house, you may not need both. By converting one into a bedroom, you will make it much easier for yourself to move around. If your children and their kids come home for the holidays, this will also provide more upstairs accommodation for them. There are also accessible designs for bathrooms and kitchens that make them easier to use, and even elegant layouts that are designed for wheelchairs. 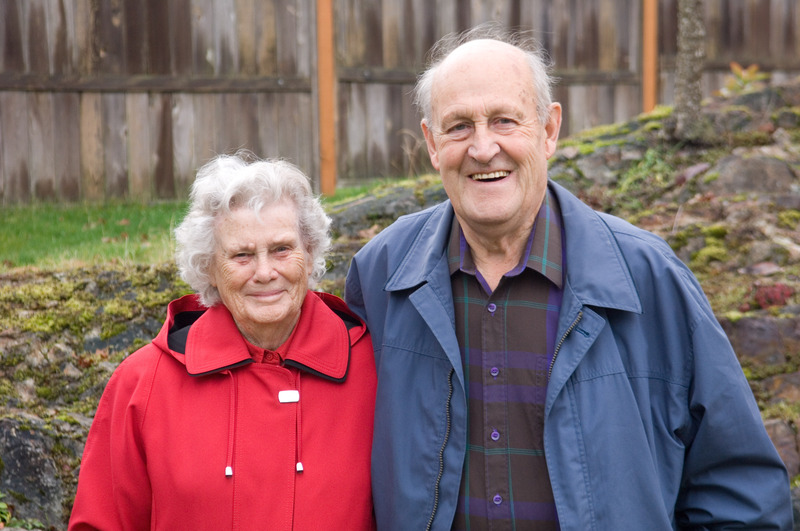 If you do decide that you want to relocate, consider moving into a senior residence that is designed for independent living. For instance, there are communities that cater for senior independent living in Princeton, NJ and many other cities and towns throughout the US. The advantage of moving into this type of development is that you remain active while knowing that you won’t have to move again when you need more help. There is also the added benefit of making new friends with people who have similar interests. Staying active both physically and mentally is also an incredibly important part of remaining independent. In fact, recent studies have shown that staying mentally engaged can help ward off the diseases of aging, like Alzheimer’s. In one study, researchers surveyed 65 adults with an average age of 76 to determine how mentally active they had been during their lives. What they found was that those who had habitually engaged in challenging mental activities showed much lower concentrations of beta-amyloid, a protein found in the brain that is the hallmark of Alzheimer’s. In fact, those who participated in intense mental activity at least a few times a week showed similar concentrations of beta-amyloid to those found in 25-year-olds. On the other hand, those who only engaged in strenuous mental activities occasionally had levels similar to those seen in Alzheimer’s patients. It is probably no surprise, but eating healthy foods and staying fit can also significantly extend the amount of time we stay independent and active. In fact, many studies have shown that exercise has effects that directly counteract those of aging. For example, exercise causes our resting heart rate to decrease, makes both our heart muscles and blood vessels less stiff, and decreases our blood pressure. Aging tends to increase all of these, which, among other things, can lead to serious heart conditions. Exercise also directly counters many of the metabolic changes associated with aging, such as increases in body fat and blood sugar levels. Exercise keeps our muscles in good working order, so that we can continue to enjoy an active and healthy life well into our retirement. My mom and dad are polar opposites on this one. I hope I can be like my dad, he never could sit still. Even though he's slowing at 72, he still likes to tell everyone that a body in motion tends to stay in motion. It's a good philosophy to live by and what makes me want to exercise everyday. This post really hits on what is important to stay young. 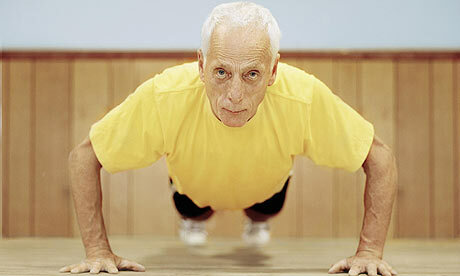 If you keep your body fit, not only through exercise but in what you eat you will not feel the aging process as fast. When you overeat you tend become a couch potato. Even when you get off the couch your joints hurt so you don't want to move around. Keeping the blood flowing to me is the key to keeping fit. If you don't continue to use your mind it will atrophy. Even doing puzzles will keep your mind active. I am one of those very active seniors — busier than ever with work, theater, music, ballet, etc. I also play duplicate bridge, which studies have shown enhances your cognitive abilities as you age. And, of course, I blog. If you feel old, you will be old. Life is full of new challenges — like learning about social media. I think having a zest for life is the best medicine.